Take Action to Enforce Human Rights Laws to Protect Members of the LGBT Community in Countries Where Their Rights Are Abused. Washington, D.C. – With hundreds of LGBT individuals being beaten, persecuted and even killed in Iraq, Iran and other countries, U.S. 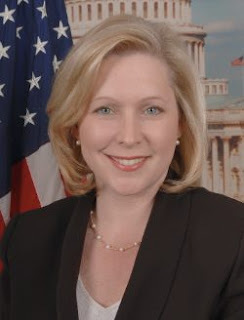 Senator Kirsten Gillibrand (D-NY), member of the Senate Foreign Relations Committee, and Congresswoman Tammy Baldwin (D-WI), joined by 11 of their Senate colleagues and 31 of their House colleagues, today wrote to Secretary of State Hillary Clinton urging her to work with U.S. Ambassadors, the United Nations and NGOs across the globe to enforce human rights laws that protect LGBT individuals in the countries where they are under threat. Where safe conditions are not possible, the U.S. and the UN must work with refugee and human rights groups to expedite refugees’ flight to safety. According to Human Rights Watch, there is no official number of deaths since the killing of LGBT individuals began in Iraq, but the U.N. has provided rough estimates range in the hundreds in 2009 alone. Not one murder of an LGBT individual in Iraq has led to an arrest, according to Human Rights Watch. “The lives of LGBT individuals in Iran and Iraq, as well as those LGBT refugees who have fled persecution, are in grave danger,” said Congresswoman Baldwin, Co-Chair of the Congressional LGBT Equality Caucus. 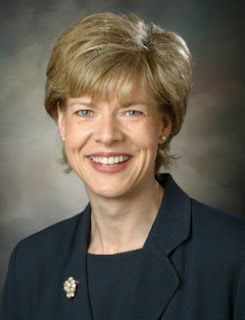 “I know Secretary of State Clinton shares our concerns for human rights and I hope she will use the full force of her office to respond to the plight of Iraqi and Iranian LGBT refugees and urge the UNHRC to do the same,” Congresswoman Baldwin said.